Product design and development requires that engineers consider trade-offs between product attributes in the areas of cost, weight, manufacturability, quality, and performance. Engineers are faced with the difficult challenge of determining how to arrive at the best overall design, making the right compromises, and not sacrificing critical attributes like safety. MSC Software offers a complete set of solutions for optimization, ranging from use of gradient based optimization methods, like sizing, shape and topology optimizations, or calculation of response surfaces, to a broader process management to analyze and optimize designs across multiple disciplines. These solutions can be integrated with third party optimizers as well to provide you solutions that mold to your requirements. MSC provides proven solutions for component and system design optimization. 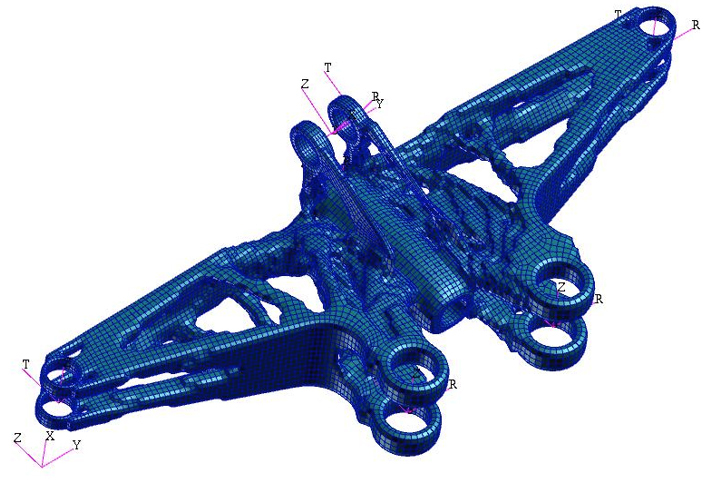 Based on MSC Nastran’s gradient based optimization technique, the solutions can be broadly classified into three categories – namely, sizing, shape and topology optimization, depending on the methods employed in achieving the ideal design. 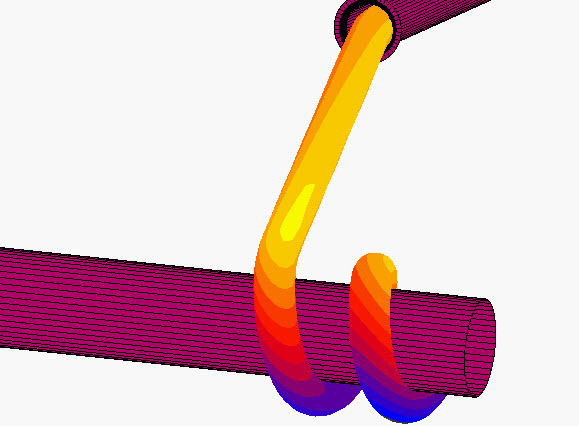 By starting at a pre-specified point and searching the design space, a local optimal solution that satisfies the various constraints on the structural behavior is obtained, which can include advanced material properties for composites as variables in an optimization. MSC also offers some advanced forms of shape and size optimization called topography and topometry, respectively, to give better control of material thickness and geometry as design variables. With response functions and constraints supported across multiple disciplines, users do not have to run multiple optimization runs for each discipline. It is possible to combine all these disciplines into a single run, users gain efficiency and obtain better designs. It is often desirable to develop a “best” design that is a good trade-off of multiple requirements and robust. This is where techniques like Design of Experiment (DOE) or Monte-Carlo (Stochastic) can be useful. MSC offers tools that allow users to setup multi-run CAE experiments based on multiple simulation models and even different disciplines; they can even include discrete design variables. A Response Surface Method (RSM) is used on the results from the experiment to create an approximate model, which represents how the design will behave over a large operating space. Once these models have been generated it becomes very easy and fast to perform “what if” and design trade-off studies. Optimization and Design Improvement studies can often be complex, requiring integration with third party specialty applications that may provide advanced capabilities for handling things like multiple design concepts or other specialty optimization and design improvement techniques. These studies also generate large amounts of simulation data and results associated with hundreds or even thousands of design variables and simulation models, which need to be tracked and managed. MSC offers solutions that work well with other applications, providing capabilities that can play a customizable role in the process, which can even integrate and manage the entire process, as determined by the particular needs of the customer. Also, MSC’s simulation content and process management solutions are uniquely suited for keeping track of and managing the entire simulation process, ensuring that no relevant data is lost and critical design configurations are readily identifiable.